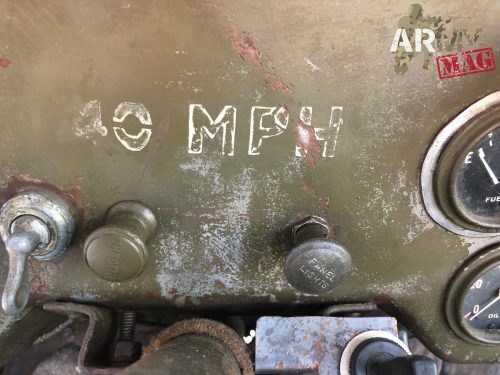 It was found in the Florentine Chianti, guarded over the years by a jeep enthusiast who had not dared to touch it, repaint it, put its originality at risk. And so it has come to this day. It is a MB jeep Willys that still bears the New Zealand Army, and the RAF Insignia on the bonnet. 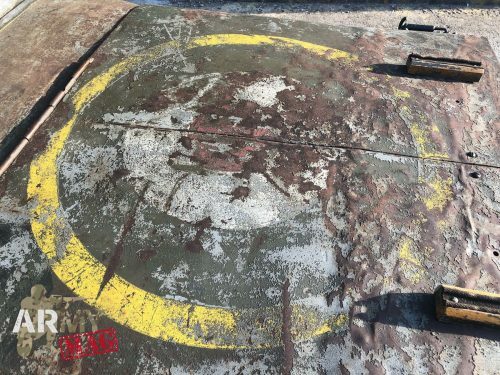 The recovery of this military vehicle was made by the main Italian expert of WW2 military vehicles restoration, Sandro Bertini. Bertini lives in Tuscany and is known by the nickname of ‘Doc Willys’, Doc Willys treats them lovingly, until he brings them back to life. Sandro Bertini inherited this passion from his father. 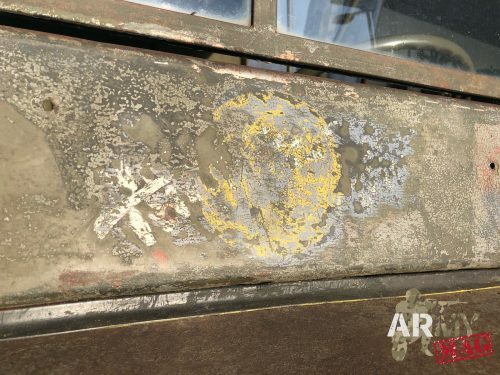 He ‘gets his hands dirty’, follows the vehicle from rust to the return on the road. Dr. Willys, receives them in his clinic, a super equipped workshop near his house and makes you take an exciting journey in the past. It is easy to meet him also at the re-enactments events or in all the places where these vehicles are loaded with history. 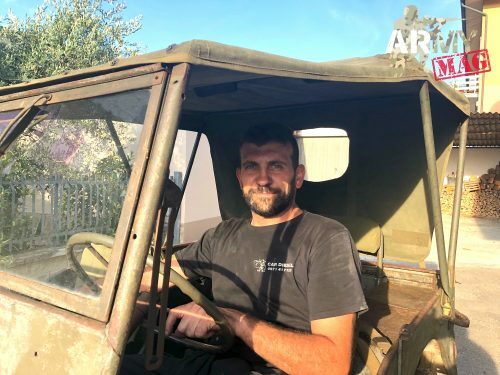 With the Italian web magazine, www.armymag.it, Sandro Bertini is working to divulge the history of military vehicles. Thanks to his knowledge people will study details of the restoration, use and maintenance of these glorious vehicles. And the Kiwi’s Willys is probably one of the most important hidden treasures he has found in his life. That’s why he chose to present himself with this WW2 jeep. This project, opens a new frontier in the matter: no longer restoration but “recovery”. A historical recovery of the vehicle, of its external parts obviously because the mechanics are perfectly efficient and the set-up was made with original spare parts of the era (tires included). 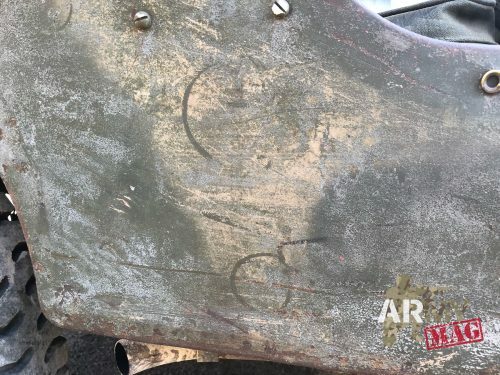 “During the first cleaning operation, after we removed the dirt with the pressure washer, we noticed that several signs were surfacing. 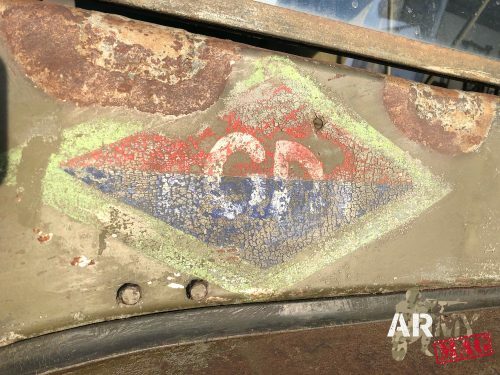 Insignia to be exact, to testify that the Willys, found in the Florentine Chianti area, had been given to the New Zealand troops “says Sandro. 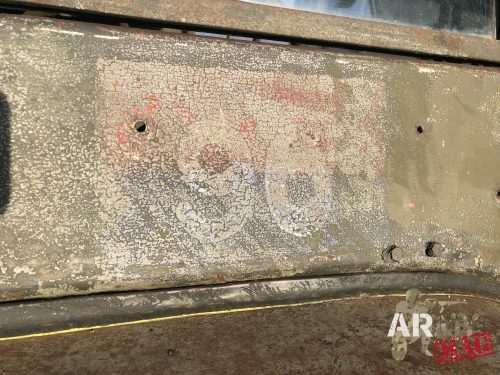 The fern leaf in the centre of the windshield testifies to this, as well as the red and blue symbols with the regiment number, placed on the right and left of the bodywork below the windshield. 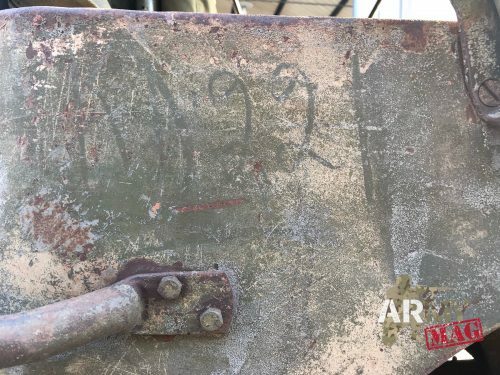 The vehicle must have seen service in North Africa, as evidenced by the Arabic translation of the serial numbers of the jeep, painted with the classic British camouflage ‘Mickey Mouse’ colour scheme. 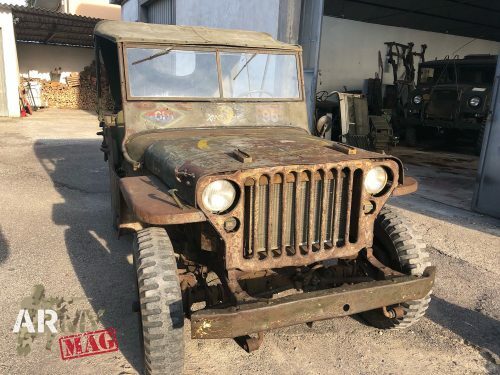 Arrived in Italy during the Italian campaign and after the liberation campaign of the Florentine area, the Jeep must have changed hands, since above the bonnet there are the RAF insignia. 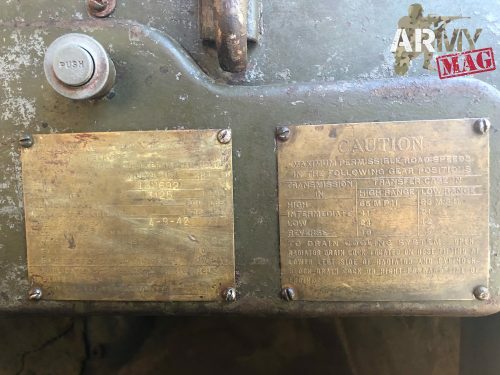 The serial numbers of the US Army production also appeared during the cleaning of the vehicle’s bonnet. In blue, just as they had come out of the factory. “We are slowly rediscovering all the old logos,” Bertini said, ” other writings are coming out as the recovery continues. I think it is an innovative way to put these vehicles back on the road, which leads them to rediscover their secrets. 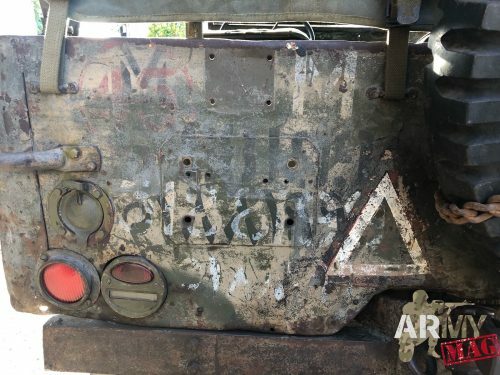 The vintage patina united to the discovery of the regiments in which this vehicle has served, represents in my opinion an innovative way of conceiving and appreciating these vehicles and being respectful of the history they carry with them “. 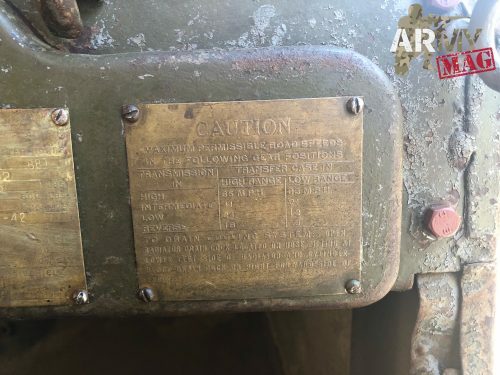 From 21 July to 4 august 1944, the Chianti area of Tuscany and other important villages on the gateways of Florence like Scandicci and San Michele a Torri, were the scene of bloody fighting as allied forces waged a bitter battle to wrest Florence from German hands. At the heart of the struggle were soldiers of the II New Zealand Division, many of whom would not live to see their homeland again. For 50 years after the end of the war collective memory held that these towns were liberated by US Army. At the begin of 2000’s the truth came out. It was confirmed that 28th Maori Battalion and 23nd Infantry Battalion of New Zealand Army had led the offensive through this area. And in Italy the debate goes on as to whether they or South African forces were the first to reach Florence. Anyway, no doubt that New Zealanders played a pivotal role in freeing the Renaissance capital of Italy. 96 indicates 7th Anti-tank Regiment NZA. How do you get a title of ownership to such vehicles?